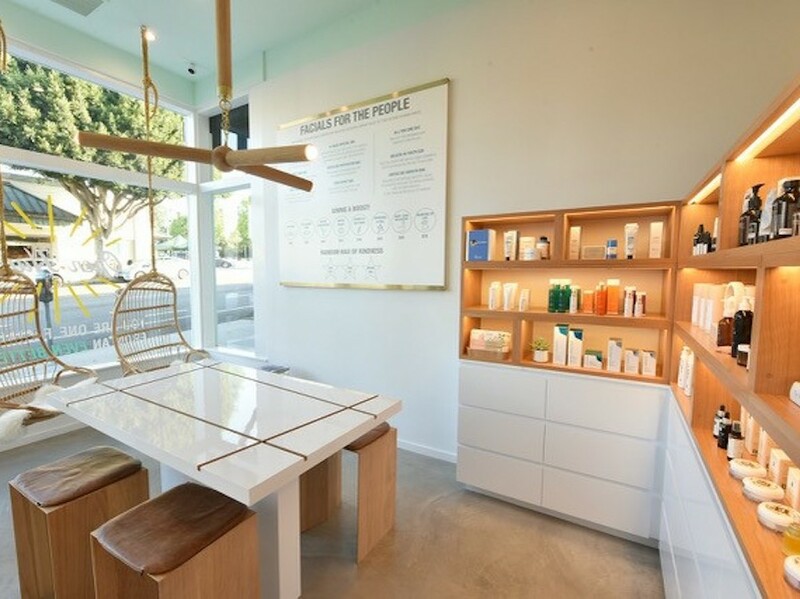 Straight from sunny Los Angeles where it has been redefining skin care since 2013, Face Haus is the first-ever open concept “facial bar” that offers a unique, open floor plan so taking care of your skin is as easy and inviting as sitting down at a blowout bar. And now, it’s landing in New York City! Face Haus offers “facials for the people”, fuss-free, personalized services that eliminate the stuffy and unnecessary bells and whistles that result in inaccessibly priced facials. Rather, Face Haus offers professional facials by expert aestheticians (they call them esthies!) using incredible products at a head-turning price. Speaking to Jenn Worley, co-founder Face Haus, we heard about the amazing concept. “Having launched the first single service facial concept in 2013, we’ve invested a lot of energy in developing our brand mission and building an out-of-this-world team. We are thrilled to now be in expansion mode and planting our first flag in NYC. While skincare may not be a novel concept to New Yorkers, the Face Haus model is unique. We’re an open haus: open doors, open concept, open minds. We’re approachable: both in our design and in our pricing.” Said Jenn. “By eliminating the unnecessary bells & whistles in a traditional spa setting we are able to offer the highest quality services, premium grade products, superb estheticians (esthies) and cutting edge technology, at a price point that allows people to care for their skin on the regular. We’re “for the people”. On any given day you may see a busy exec next to a rock-n-roll legend with his teen daughter, across from a mom of three savoring some self-care, all without losing momentum in their day.” We celebrate every face- and can’t wait to get the good vibes (and great skin) rolling at Haus NYC- Upper East Side.” Jenn told us. Face Haus is celebrating their newest location outside of Los Angeles, Face Haus New York! The first 50 people to visit Face Haus NYC on opening day will receive a free gift card of surprise value. Gift cards will be valued between $10 and $75. You only have to step inside the Haus to see how Face Haus is revolutionizing skin care by creating a culture of social beauty, for every face. Stop by the Grand Opening weekend and discover how easy and accessible regular facials can be. Treatments start at $65 and are designed to get you out of the Haus in an hour or less. The menu at Face Haus New York includes the Haus Special (the perfect pre-occasion glow with an oxygen blast); Spotless Reputation (acne and blemish treatment); and the Best Man (to treat the complexion needs of male clientele). Face Haus New York opens on Saturday, March 30. Visit Face Haus at 1140 3rd Ave.